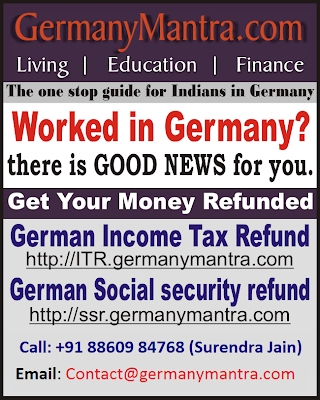 2.4 NOTE: GermanyMantra does not provide Job search and visa consultancy. Please don't call for the same. NOTE: GermanyMantra does not provide Job search and visa consultancy. Please don't call for the same. Usually, immigrants have access to the German labour market. Only when no suitable German or privileged foreign national is available anywhere in Germany for the job in question. This means that nationals of countries that are not part of the European Economic Area need a residence permit which explicitly authorizes them to work in Germany. Well-qualified foreign nationals, such as university graduates, may come to Germany as legal immigrants. They can receive a long-term resident status in Germany. On 1st August 2012 the EU Blue Card system started in Germany. People with a recognized university degree or a degree comparable to a German degree have easier access to the German labour market. To get the Blue Card, they must give proof of their qualifications and a concrete job offer. If Annual gross salary is at least 46,400 euros, then the approval of the Federal Employment Agency is not necessary. If Annual gross salary is at least 36,192 euros, then the approval of the Federal Employment Agency is necessary. The EU Blue Card facilities and arrangements also apply for highly qualified foreign nationals with a background in mathematics, IT, the natural sciences or technology, as well as medical doctors. The requirement is that they are offered the same salaries compared to German employees and their annual gross earnings would be at least 36192 euros. Self-employed people can get a residence permit if their planned business project with its financial basis and economic impact is assessed as being in Germany's economic interest or meeting a specific regional need. University graduates with a German or other recognized university degree, or a foreign degree comparable to a German degree, are allowed to enter Germany and seek a job once here. They get a job-seeker's visa for their job search and are allowed to stay in Germany for up to six months to find employment. They need to prove that they have enough money to live on during their time here. While trying to find a job, they can not work at all, because the job-seeking visa does not permit them to work, whether on a self-employed basis or otherwise. Your visa will however be changed to a residence permit for employment in Germany, once you have found adequate employment. For Delhi and Mumbai consulate: Minimum 16 years of STEM education (Science, Engineering, Technical or Mathematics) i.e. either 4 years Bachelor’s degree or 3 years Bachelor’s degree with Master’s degree. For Chennai and Bangalore consultate: Minimum 15 years of STEM education (Science, Engineering, Technical or Mathematics) i.e. either 4 years Bachelor’s degree or 3 years Bachelor’s degree with Master’s degree. English proficiency is sufficient for visa; however, it is highly recommended that you learn the German Language to survive in Germany and get more job opportunities in Germany. Valid passport with a validity of at least 12 months. Visa processing time may be 2 months or more. Disclaimer: Visa fee is subjected to change without prior notice. Please confirm before submitting your application.